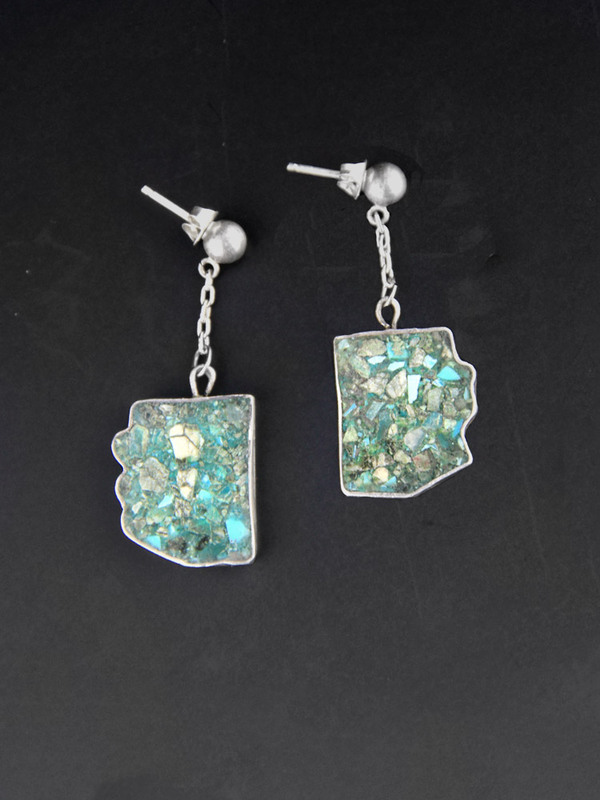 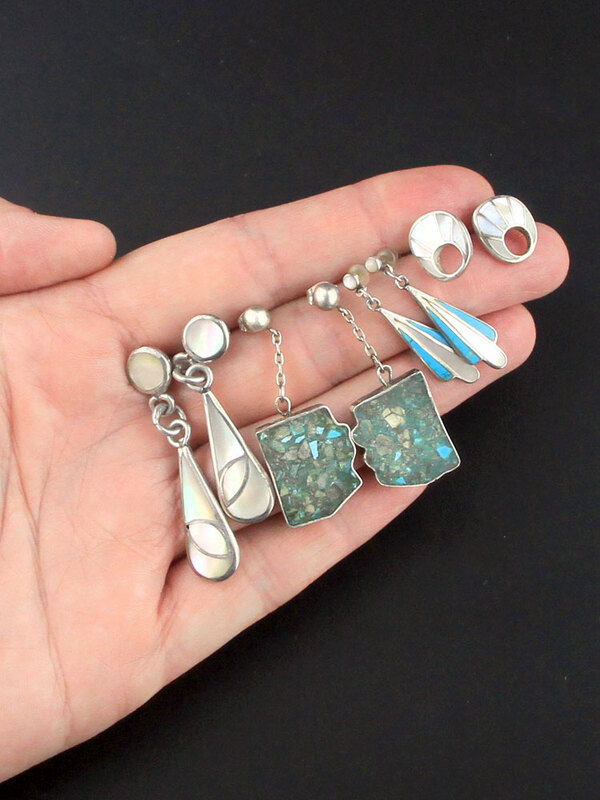 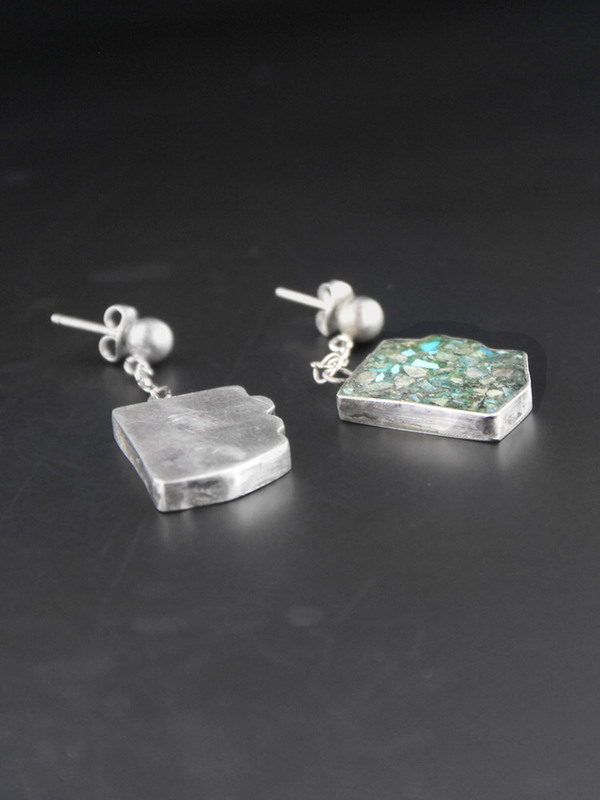 Handcrafted 1970s vintage sterling silver earrings, stud top with a chain dangle and an abstract inlay of crushed mixed stone, turquoise and others. 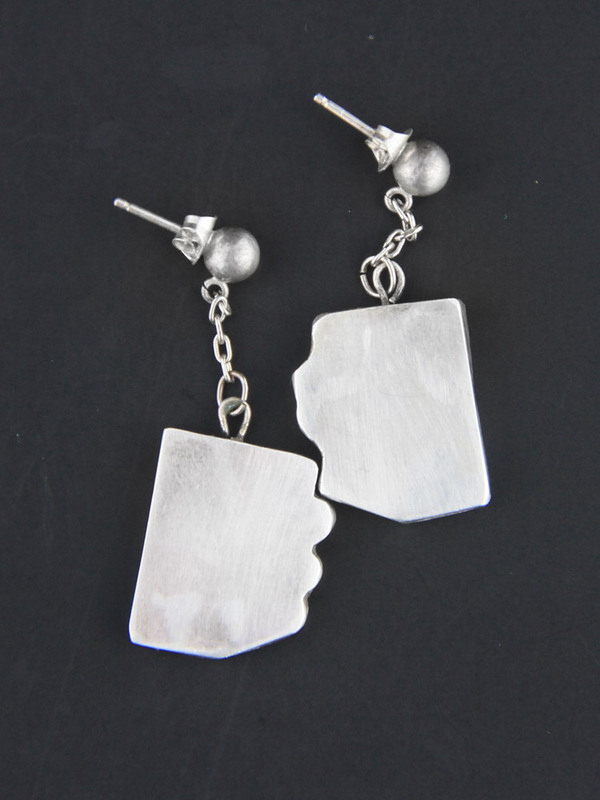 Set in a smooth sterling bezel and back these are an unusual and elegant earring. 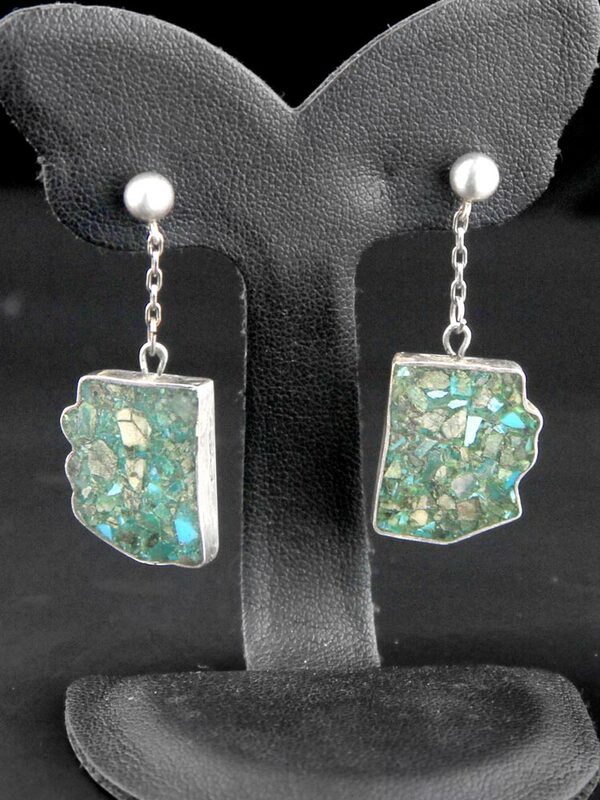 Nice weight of silver, elegant dangle design and lush deep greens.